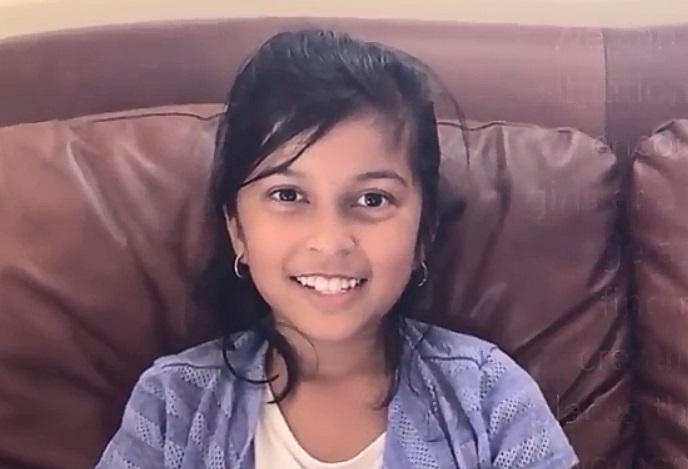 Shruthi Lingam, an elementary schooler from Olympia, WA, was one of nine awardees from across the country for the nationwide ThinkBIG Challenge, started by ThinkSTEAM, a 501(c)(3) nonprofit organization established two years ago by then 13-year old Jothi Ramaswamy. ThinkSTEAM, built around recognizing female talent in the math, technology and science fields, has also awarded girls in grades 2-8 from Arizona, Minnesota, California, New York City, New Jersey, and Connecticut as well. In addition to hosting the ThinkBIG Challenge, ThinkSTEAM has also held over 22 technology workshops in partnership with several organizations and corporations like Facebook, Google, IBM, Accenture, Columbia University, Society of Women Engineers, etc. ThinkSTEAM has also finished its first pilot mentorship program for high school girls this year in partnership with PepsiCo, a platinum sponsor of the MillionWomenMentors movement. Through her organization, Ramaswamy, a rising junior at Lakeland High School in Westchester, NY, has inspired over 350 girls from eight different states (NY, NJ, CT, PA, WA, MN, AZ, CA) to join the movement to raise STEM awareness in girls.